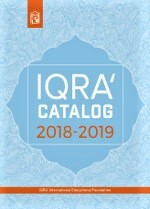 This is an educational board game, based on four categories of questions; each containing 100 questions, related to sacred mosques in Islam, famous mosques around the world, mosque architecture, the teachings of Islam about mosques. Salah and Hajj. 2-4 players can participate; 8- Adult years old.